13 has traditionally been an unlucky number and there are many superstitions associated with the number. Many people believe that Friday the 13th is a day when bad things might happen to you. This is true for some people in the U.S., but also for people from other countries, such as Italy and Spain. If you believe that 13 is unlucky you might be a little nervous this week because tomorrow is Friday, July 13! Many scary movies have been made about this special date and the “horrible” things that could happen on this day. Some people believe that bad things do happen and a few things have happened in history, but it depends on your opinion whether you believe these bad things are caused because of the date. Friday the 13th is a “bad signs” according to some people. 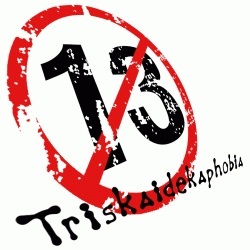 People who are scared of the number of 13 have a special name for their fear: triskaidekaphobia. Try to say that three times fast! So, if you are superstitious be careful tomorrow!